Peanuts Surprise Slides, Marvel Dominoes and Mix Up! Fix Up! I enjoy playing board games with my grandson, especially games by Wonder Forge featuring popular characters. And I always appreciate receiving a surprise package of games to check out and review from Wonder Forge. 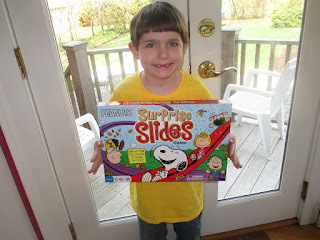 Today, Wonder Forge is also sponsoring a giveaway of the Peanuts Surprise Slides Game. Details of the giveaway are at the end of the post. This game can drive you crazy (but isn’t that part of the fun?) because it keeps changing. The board has four areas – one for each season that provide shortcut possibilities for each player. 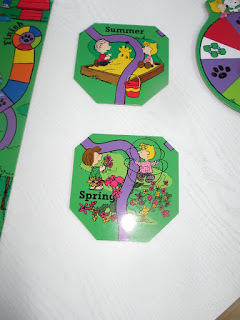 But… it is a big but…if when you spin, you land on a particular figure you can mix up the season blocks and change where the shortcut paths are. Therefore there are always new opportunities to move ahead and also new chances to have them disappear. 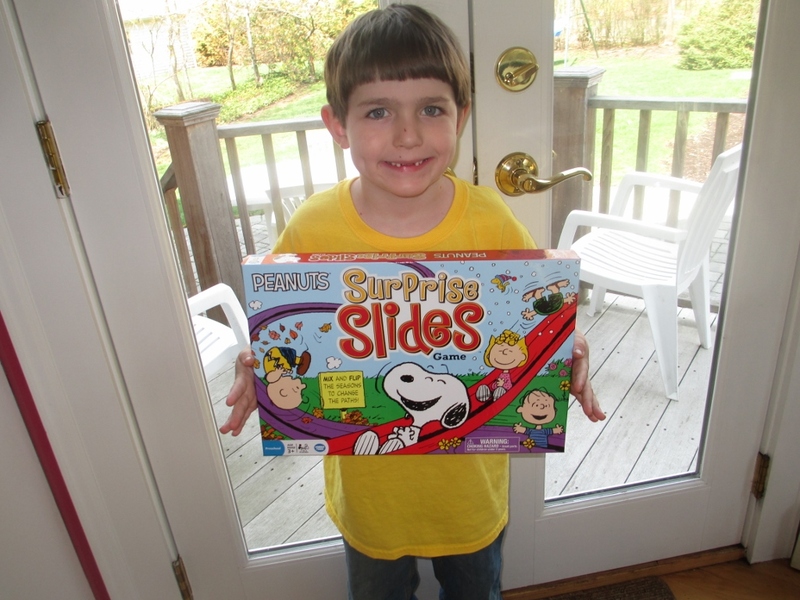 This type of game is great for kids – and adults – who like that kind of fast paced change – now you have it, now you don’t. 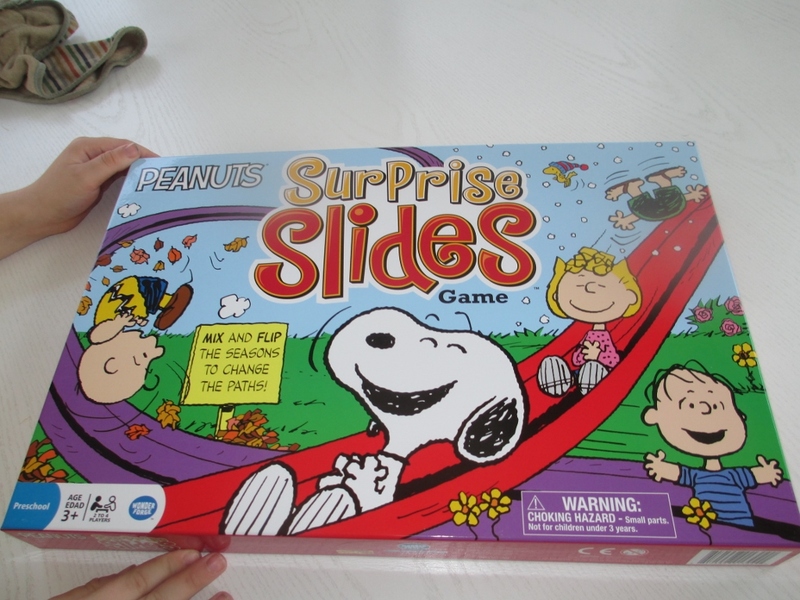 The “paths” are called “slides”, hence the name of the game. This game gave my six year old grandson the giggles. The box says ages 3+ but I think it is a little too sophisticated for a three year old and would save it for the 5+ group. 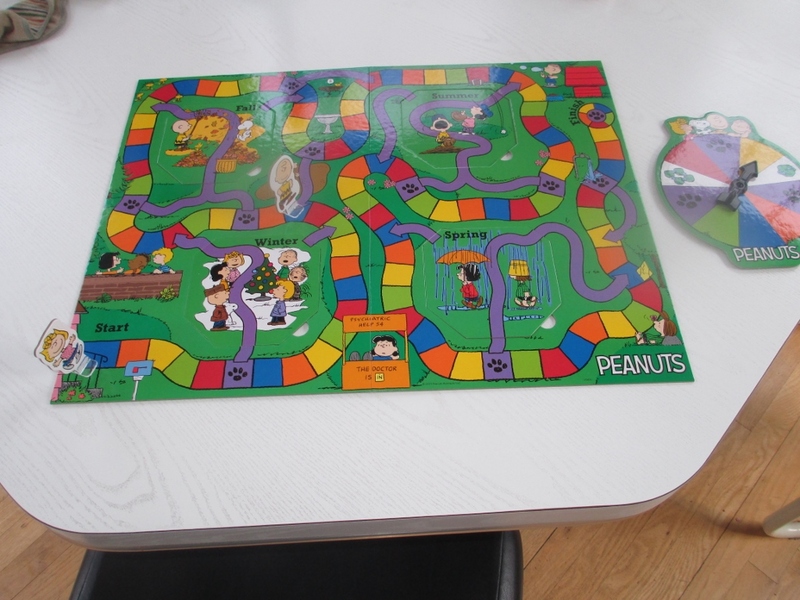 Personally, I love the Peanuts theme. It is unisex (Yeah!! ), features colorful, playful seasonal graphics (Yeah!) and most of all there are NO weapons (Double yeah!!!). Just pure fun. Enjoy. 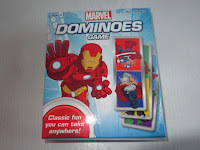 This simple classic dominoes game can be enjoyed by 3 year olds as well as 8 year olds. 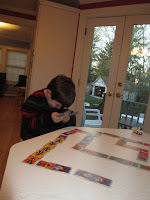 It is easy to play – you just need to match the pictures of the cards on the board with one in your hand. 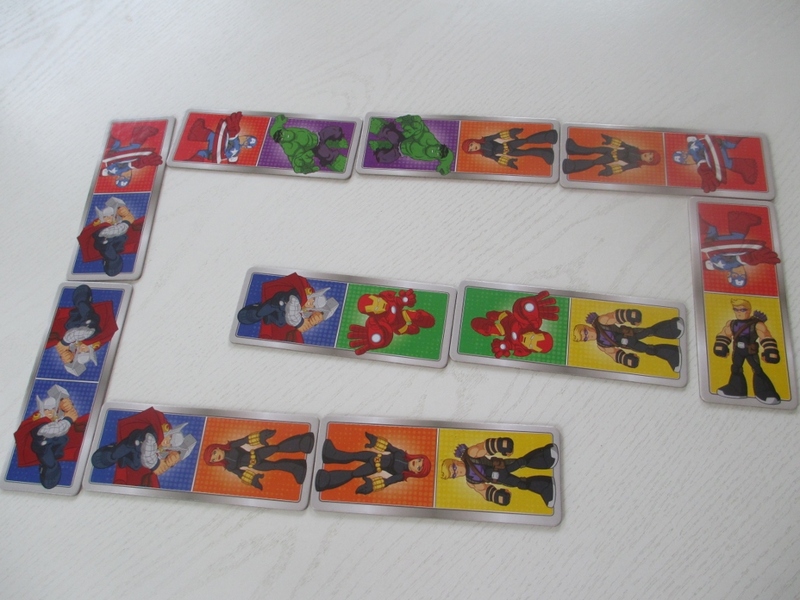 Younger kids can easily participate and older kids will enjoy matching up their favorite characters. This is an excellent game for kids of different ages to play together. Great for travel. Small and compact, we keep ours at Grandma’s house and take it out to play together on sleepover nights. This board game has some unique playing pieces and will definitely be enjoyed by Doc McStuffins fans. Basically the oldest player is the first patient and the other players are doctors (Sounds right when grandma is playing). 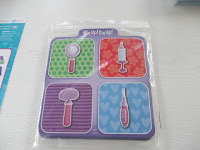 The patient chooses an X-ray card and puts it in the X-ray reader sleeve. The other players then try to diagnose the patient. 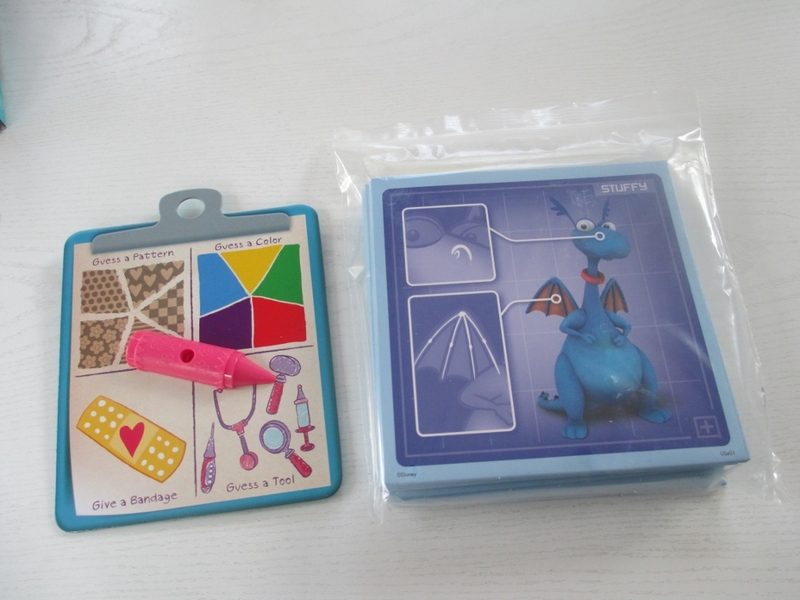 There is the diagnostic board, diagnostic tiles , spinner and of course, bandages. I don’t think most three year olds will be able to handle this game independently, but perhaps the dedicated Doc McStuffins fans among them will do just fine. 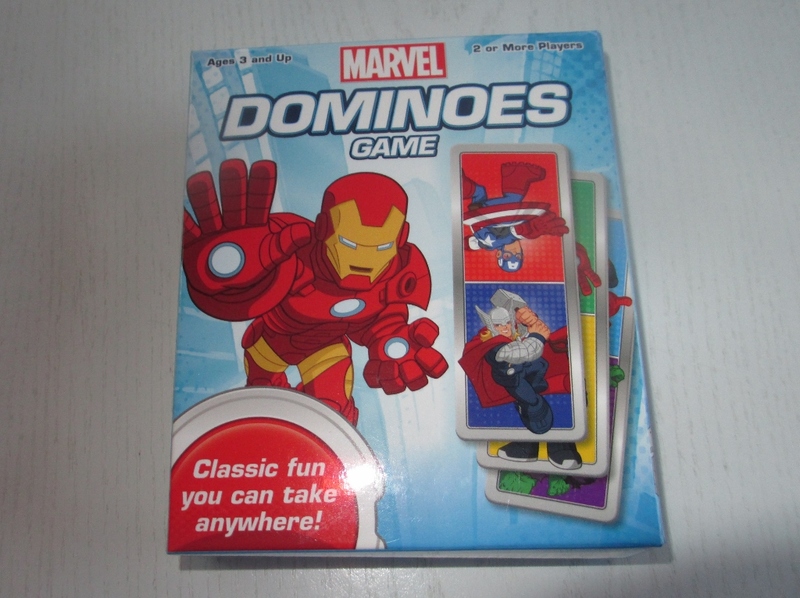 This looks like a good game to play in teams with an adult and small child teaming up. 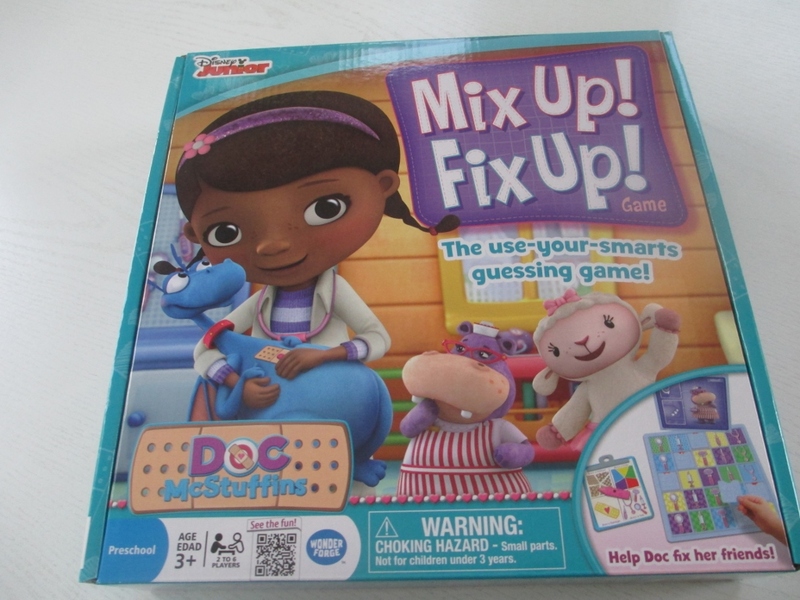 This game will develop deduction skills (important when serious school begins) while enjoying being the Doc. You can have two entries by doing both. Deadline to enter: October 11, 2015 at midnight. The winner will be selected using random.org. 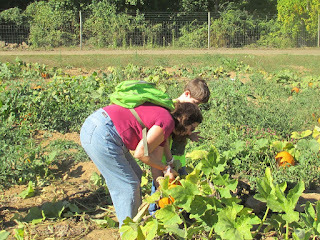 One of the favorite things that my grandson and I love to do is visit a farm and pick pumpkins and apples in the Fall. Today was our annual visit to Alstede Farms in Chester, NJ. 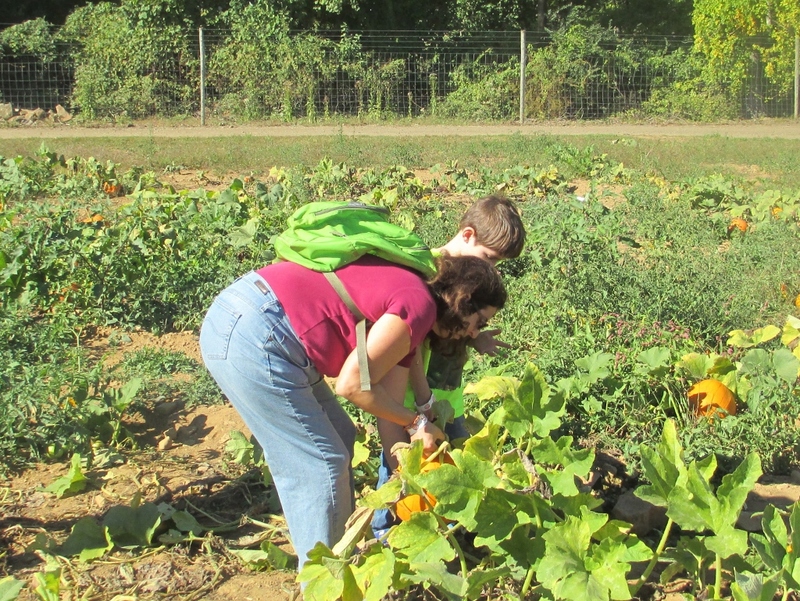 Alstede's is a large working farm where you can pick fruits and vegetables from the Spring to the Fall. It turns into a full Fall festival at this time of year. 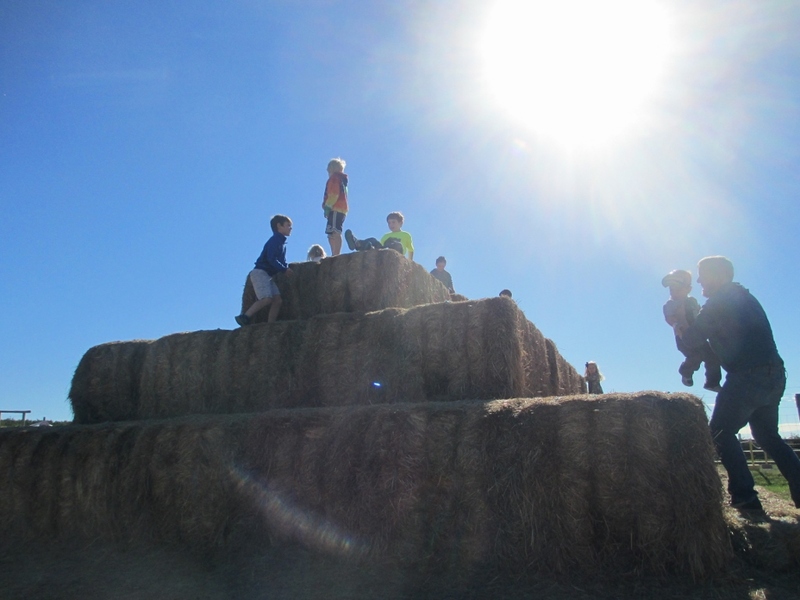 This year we had the most beautiful, sunny, early Autumn day imaginable. Next up a long bouncy ride to the apple trees where we made our first stop and picked apples. 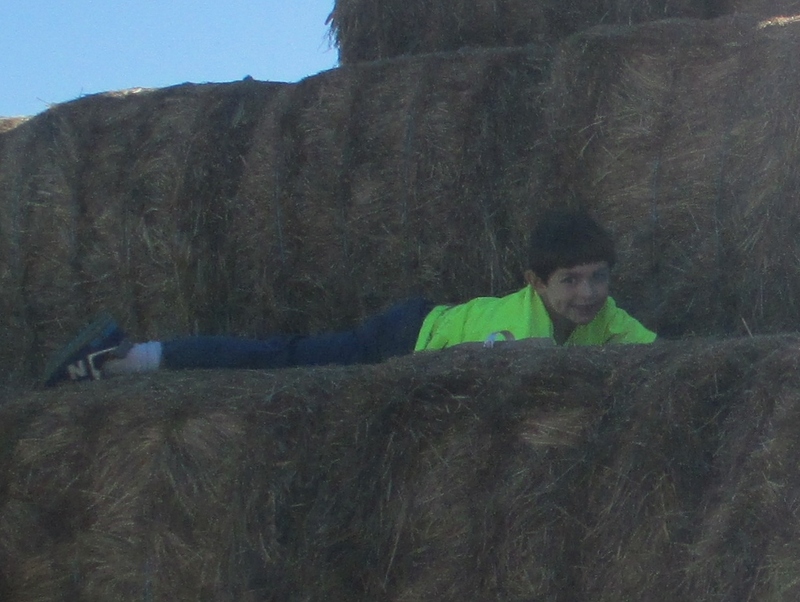 Then onto the Pumpkin Patch. If you go late in the season, as we frequently have, the green leaves of the pumpkin plants are gone and the pumpkins are mostly surrounded by dirt. I was so happy that this year we made it early in the season and the pumpkin patch is still vibrant with green leaves on the plants. Finding the perfect pumpkin is so much more fun when you have to look under the leaves to inspect them. And the pumpkin has this truly fresh picked vibrancy about it. 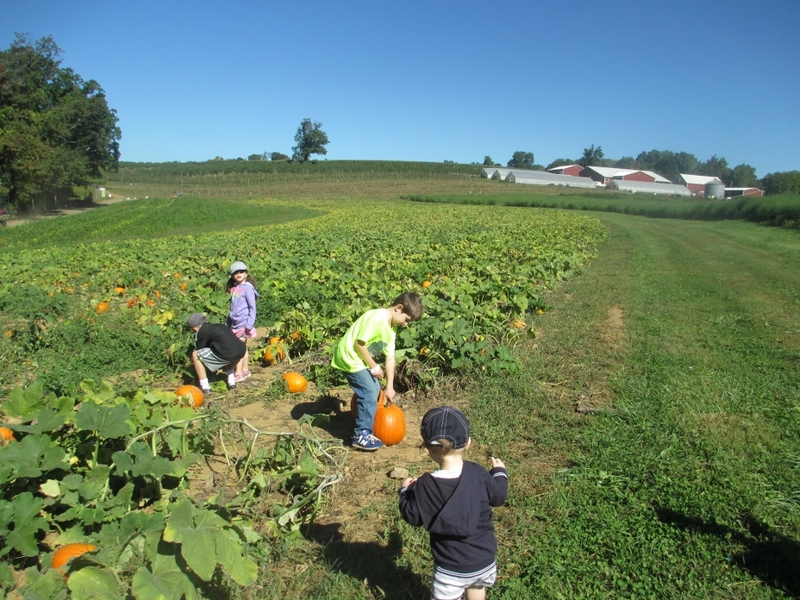 Finding the perfect pumpkin - and indeed it is! In the end, we chose three pumpkins. Three!!! The hayride was fun but there was no interest in having any more pictures taken. 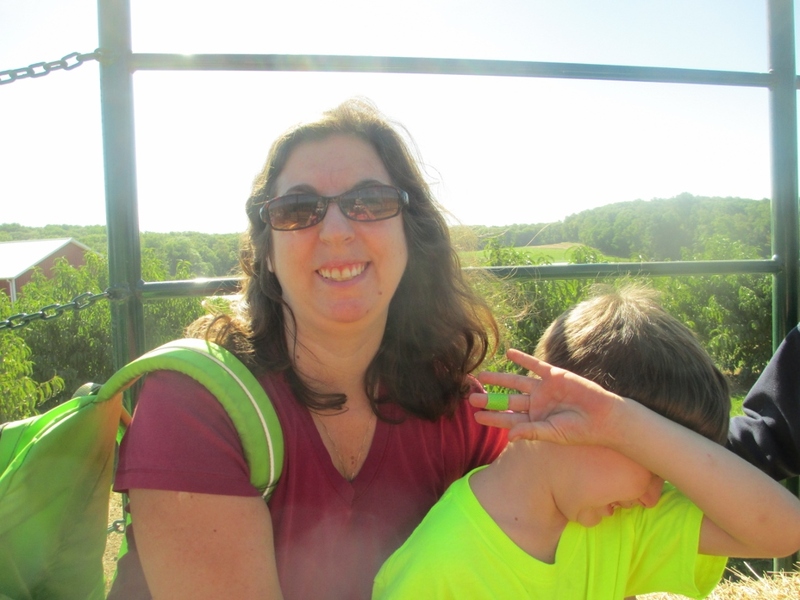 Even though Zach was done having his picture taken, this was such a good picture of Zach's Mom, that I had to add this one anyway. Zach also picked some potatoes and there was a bumper crop of raspberries available but he wanted blackberries and they were mostly done. After a morning of hard work picking apples, pumpkins and potatoes we had lunch. Then it was time for the bouncy house. We topped the day off feeding animals - there were plenty of them - but Zach chose ducks and goats to feed. Then we were all tired and so we were ready for the long drive home. 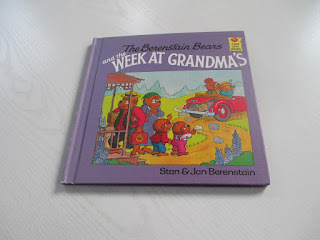 This is a great activity for grandparents to host with their grandchildren. 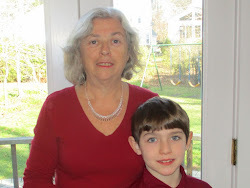 My daughter, Fran and I, enjoyed the day and my grandson certainly had a great time. What more can you ask for? Here are some Fall themed children's books. It is always fun to compliment an outing with a book on the same theme. 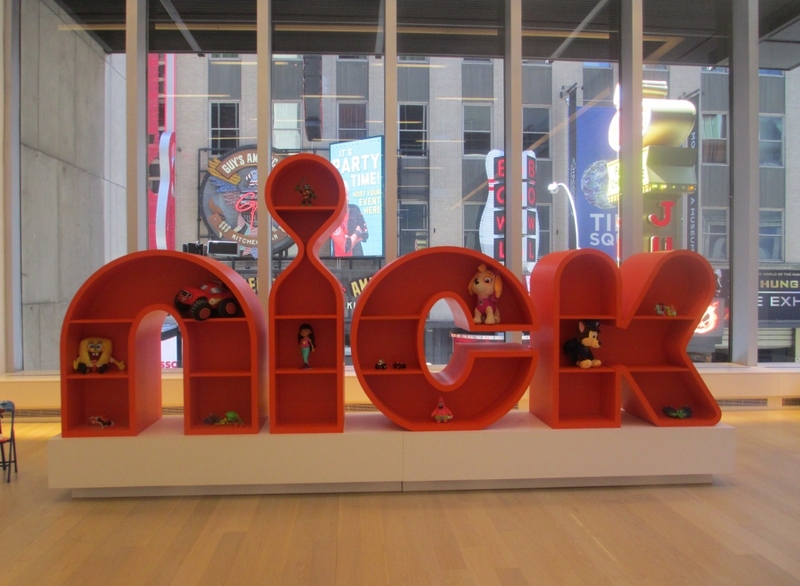 Dora the Explorer, Paw Patrol, Blaze and the Monster Machines, Teenage Mutant Ninja Turtles - What's New? 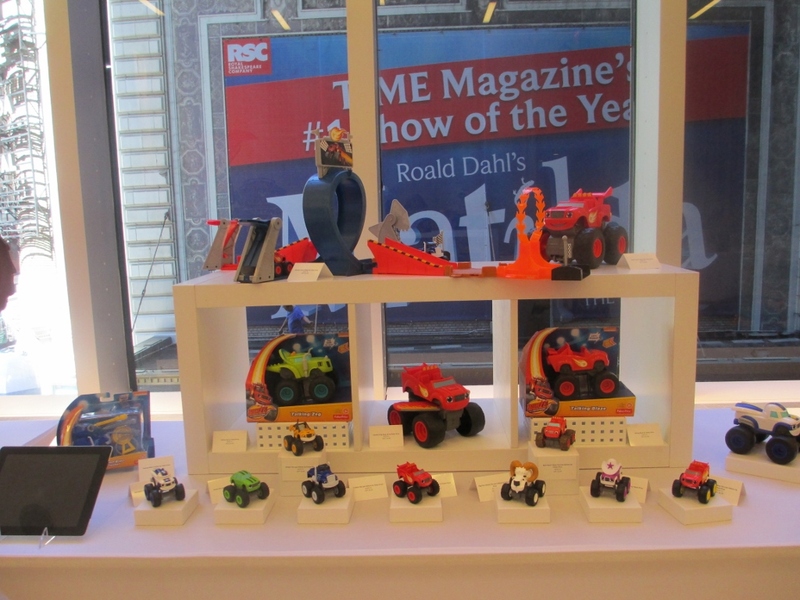 Dora the Explorer, Paw Patrol, Blaze and the Monster Machines, Teenage Mutant Ninja Turtles - What's New? A few weeks ago I went into New York on a bright summer day to attend the Nickelodeon Holiday Showcase. Here are some of my favorites that are either available now or will be soon in time for holiday shopping. These items are all likely to be heavily marketed and will be on many Holiday Wishlists. Here’s a sneak preview of some of my favorites for you. 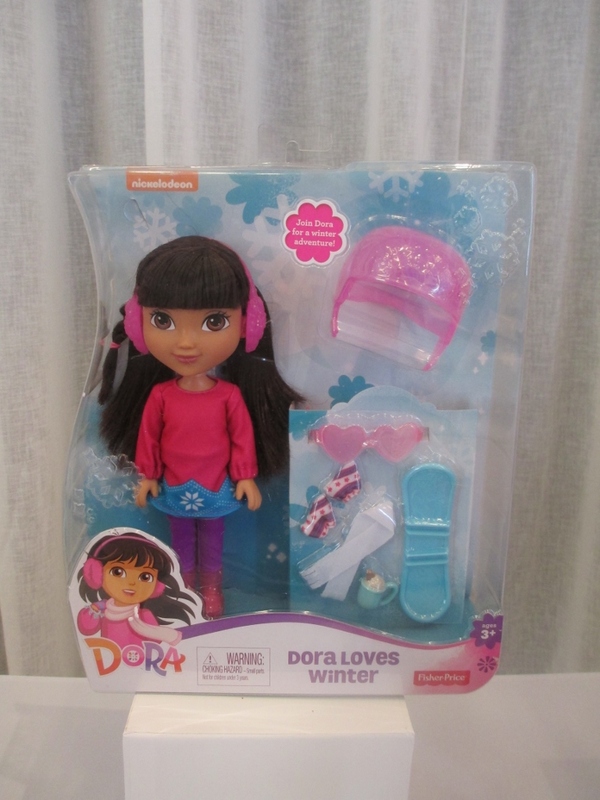 This 8 inch Dora doll features an outdoor active winter theme. She is dressed in a pretty pink sweater and leggings and features poseable arms and legs. There are also lots of accessories including a scarf, mittens, ear muffs, ice skates, snowboard, safety helmet and even a mug of hot cocoa. I think this will be a winner at this reasonable price. The Power Wheels® PAW Patrol Fire Truck features realistic lights, sounds and styling and a pivoting ladder to spark lots of pretend play. 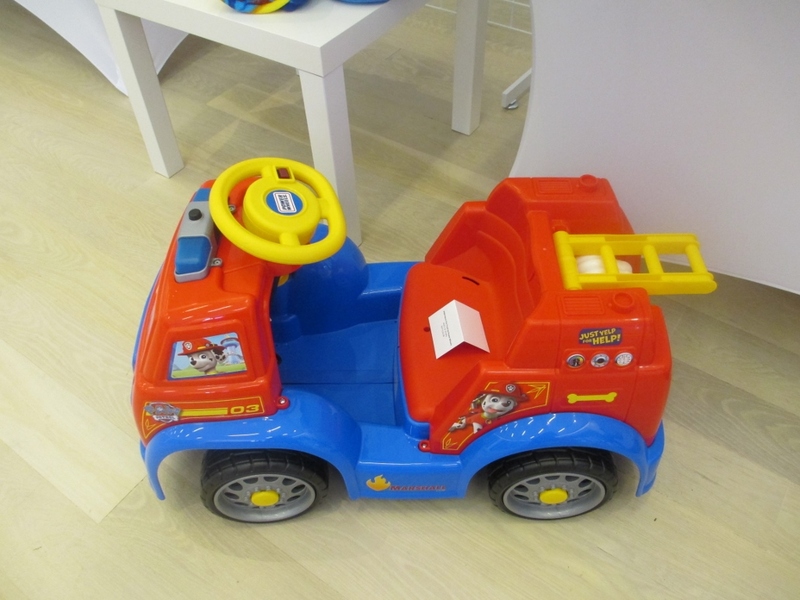 Designed with toddlers in mind, this ride-on features the PAW Patrol colors and graphics and easy push-button operation. 6-volts of battery power provide a safe 2 mph maximum speed. Yes it has a break the bank price tag but some grandparents are willing to spring for the big ticket items. 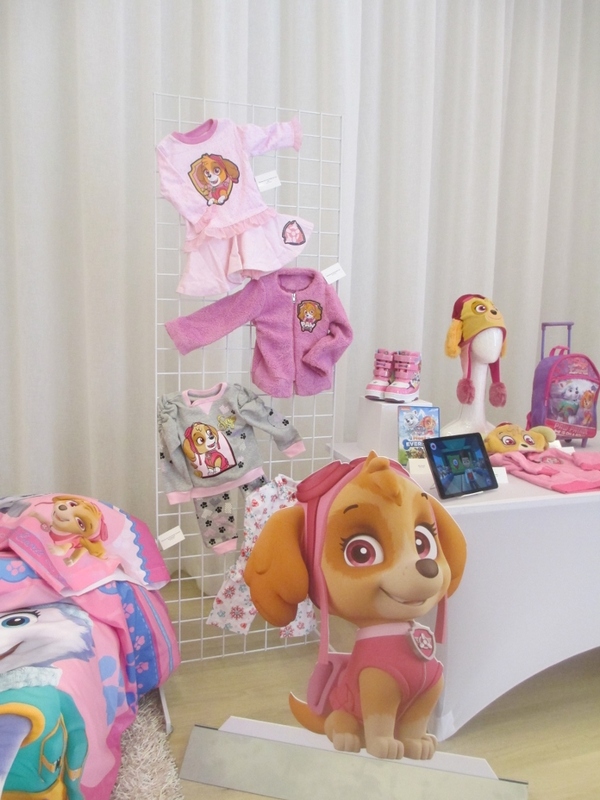 For those you more traditional grandparents there will be lots of Paw Patrol themed pajamas and bedding available this season too in infant and toddler sizes. Target, Wal-Mart and K-Mart will have exclusives so you may want to look around before you make your purchase. 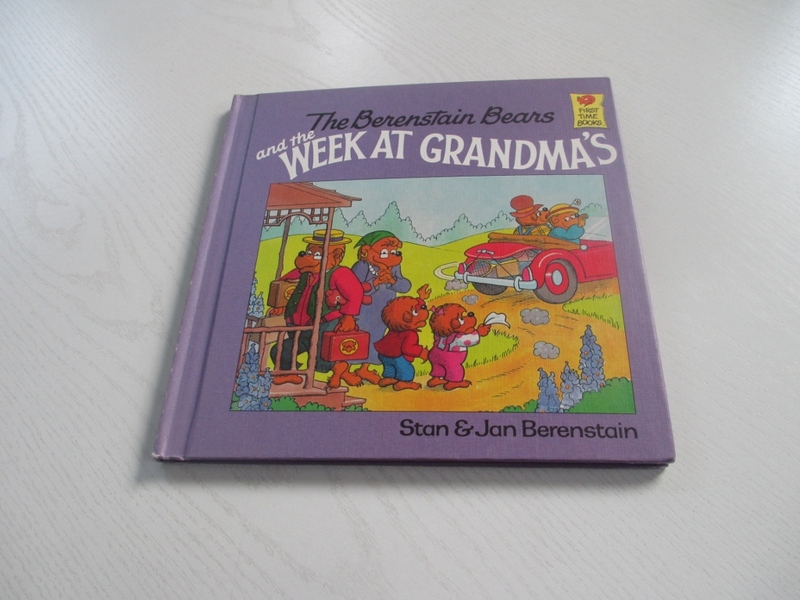 Make sure you know your grandchild’s favorite characters before you shop. Here is a look at what you may find depending on where you shop. 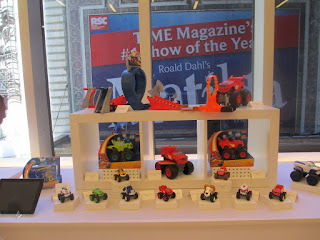 These small die cast vehicles are only $4.99 each and make the perfect stocking stuffer or grab bag gift for Blaze fans. 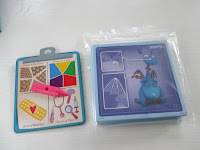 They have a lot of detail for the price and the kids will get a lot of imaginative play with them. Last year Wicked Cool Toys had a hit at Toy Fair New York with its new Girl Scout Oven which made pretty good Girl Scout cookies. 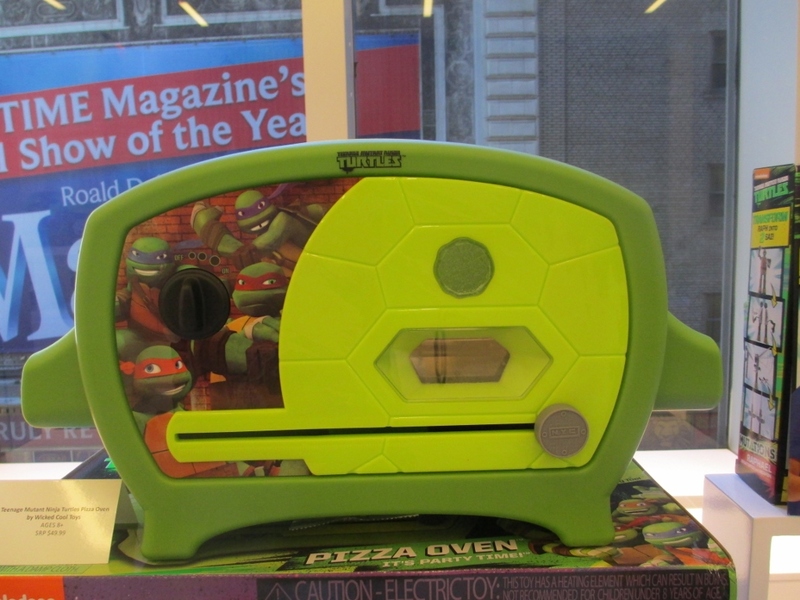 Now the same company takes the same oven and repackes its success with a TMNT Pizza Oven which will appeal to boys and girls. This is a real working oven, it comes complete with tools and mixes that allow Turtles fans to make mini pizzas that look and taste just like the real thing. There’s also a viewing window so you can watch as the pizza is cooking. It comes with mix packets to create Pizza, a spatula, pan and measuring tool. 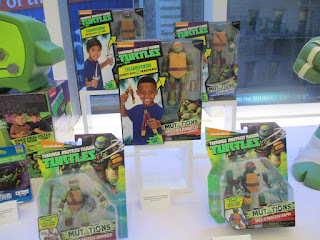 If you have young TMNT fans in your family be sure to check it out – it is a nice option to the weapons gear. What would it look like if the Turtles had Metalhead’s power, Shredder’s armor, Tiger Claw’s stripes and Splinter’s quick reaction hands? 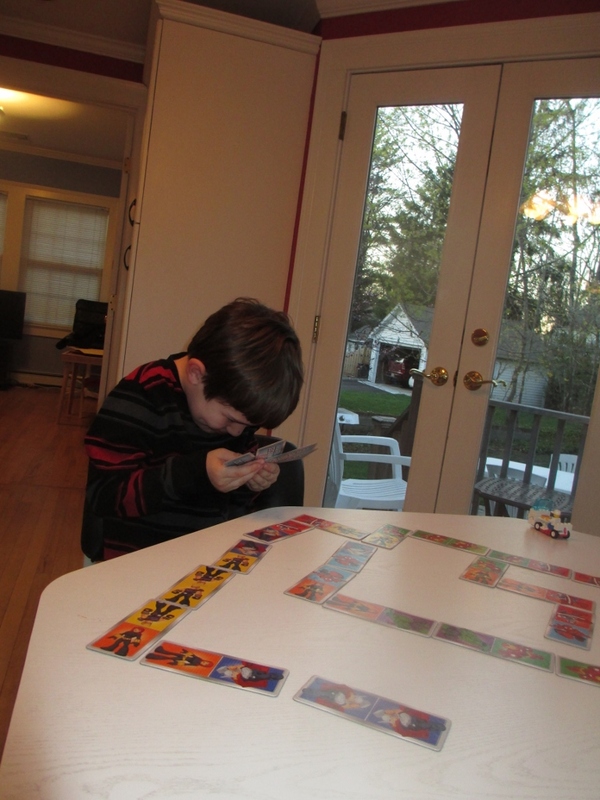 Kids can find out with Mix and Match and create hundreds of different Mutations. Swap parts and make custom mutations. Available in Leonardo, Donatello, Michelangelo, Raphael, Splinter, Shredder, Slash, Metalhead, Tiger Claw, Bebop, Rocksteady and Casey Jones. This concept is the same as the Hasbro superhero Mashers line. Great fun but you need to have several in order to enjoy the mix and matching. Fortunately, at $8.99 each that is very doable. Some of these items are available now at Amazon. 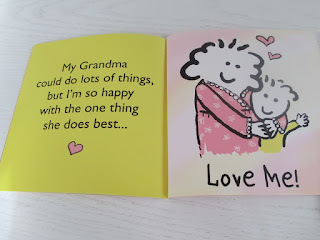 This Sunday, September 13th, is Grandparents Day. What better way to celebrate Grandparents' Day that to read a book with a grandchild about the. Here are some to consider. 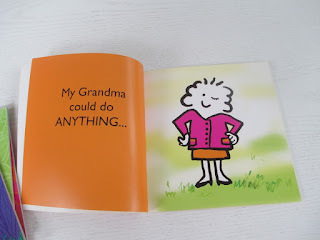 I frequently am invited to a baby shower where I am a friend/relative to the grandmother-to-be. 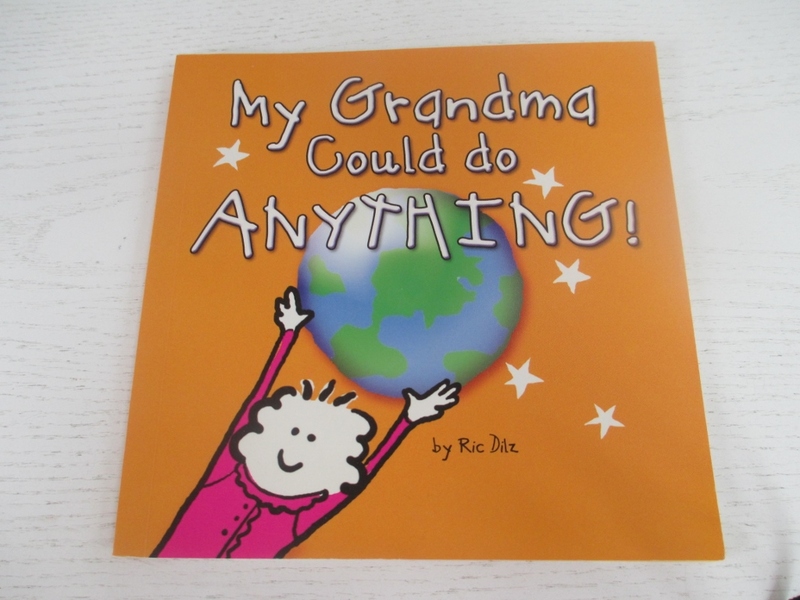 In addition to a gift from the registry I always include a copy of this board book for the new baby. It is delightful and a favorite of mine and is always appreciated as an unique gift among the many. All Karen Katz fans will love this book. 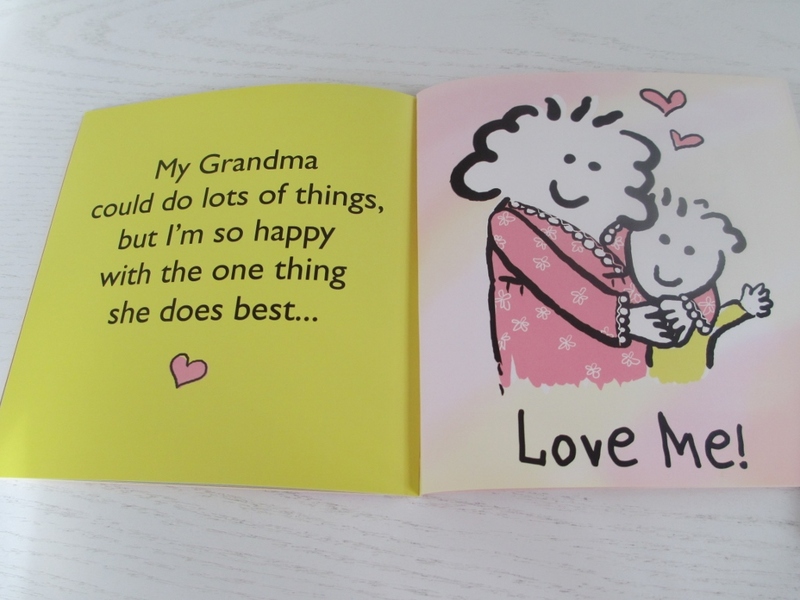 Babies and young children love lift and flap books and they are sure to enjoy this one - along with Grandpa - too. 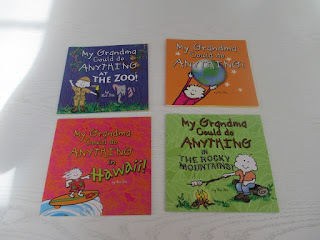 Illustrated by the incomparable Karen Katz, it is another sure winner. 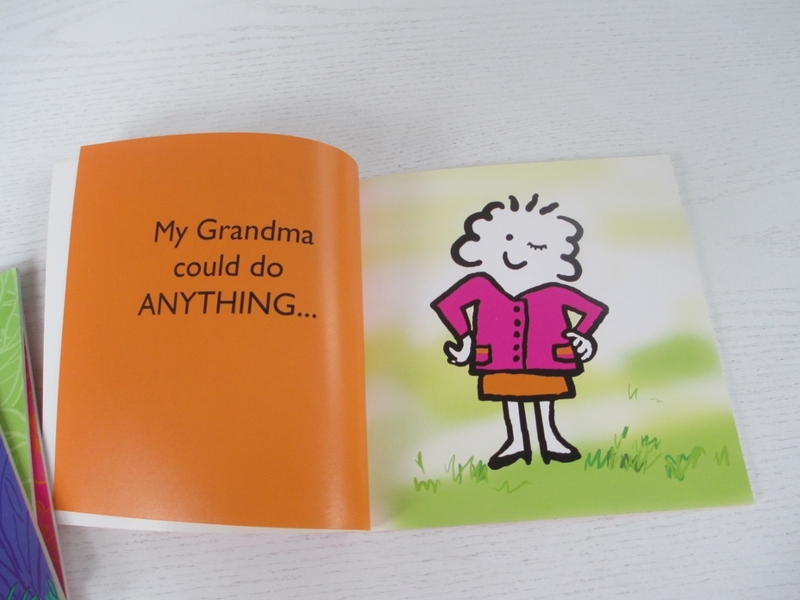 Adult coloring books are all the rage and here is one just for grandmas.